Instructions for setting the system-wide default for duplex printing settings. When making this change, it will change the default print options for the currently logged in user when printing from all applications. In other words, if you turn duplexing on following this tutorial, all print jobs sent will default to the chosen duplex option. 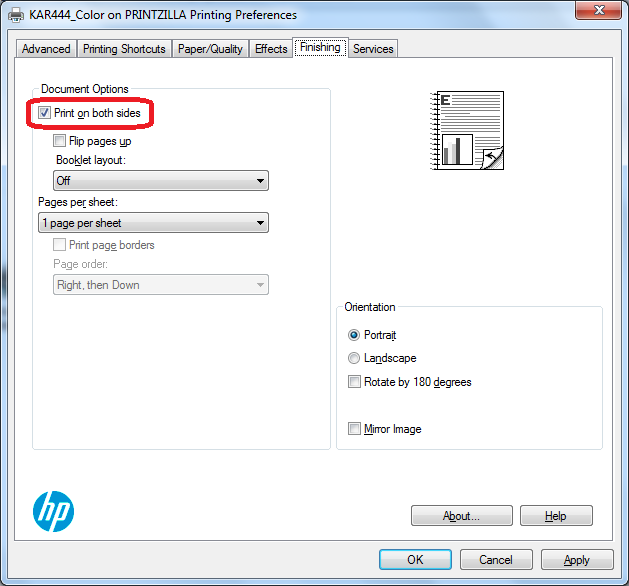 The option can be changed in a separate dialog for each individual print job. 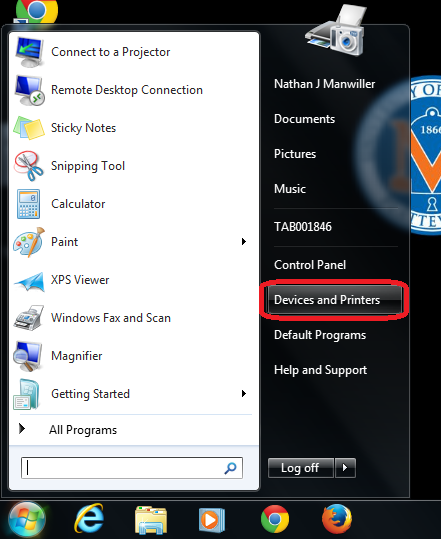 Open "Devices and Printers" by selecting it in the Start menu. 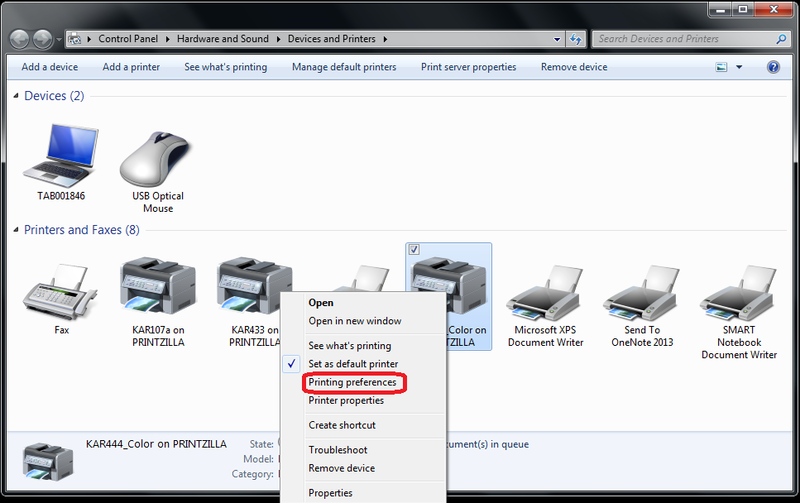 Right-click on the printer which you would like to change settings for and choose "Printing preferences". Click on the "Finishing" tab and either check the check box or uncheck the check box next to "Print on both sides" to select the desired default.